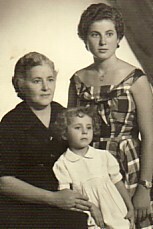 Above: My mother, Eleni, with my sisters, Efstratia and Maria. 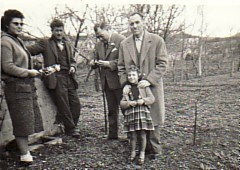 Above Right: Family and relatives. 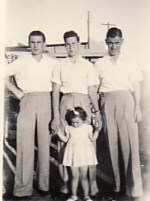 L-R: my sister, Efstratia; unknown; alking on the promenade in Mytilene. This photograph wa taken prior to me migrating to Australia. I am thirteen years old. Above: With my aunt, Mersina, and her daughter, Persephone. 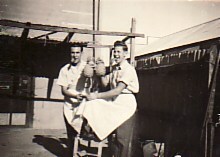 Above Right: Outside the Rex Cafe in Walgett, New South Wales, where I was working in the mid-1950's. 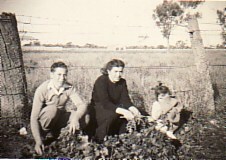 Above: Two photographs taken while I was working at the Rex Cafe in Walgett (New South Wales): on the left, I am with Efstratios Tamvakeras(left) and Leo Spathopoulos, and the little girl is Helen Papantoniou; and on the right, I am with Efstratios Tamvakeras. 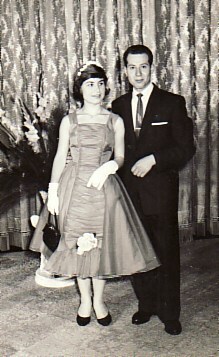 Above: With my wife, Lydia. 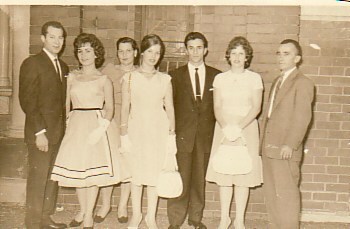 Above Right: With family and friends. L-R: myself; my wife, Lydia; my mother-in;aw, Eleftheria; koubari, Maria and Dimitrios Englezos; Hariklia Mystaka and my father-in-law, Diamandis. 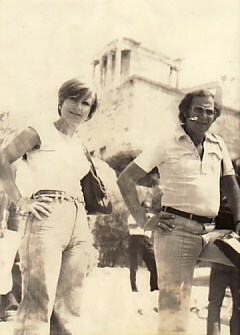 Above: With my wife, Lydia, at the Parthenon, Athens (1976). 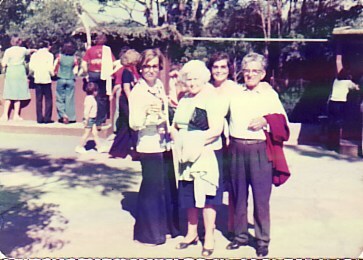 Above Right: My wife (left), Lydia, and my parents, Dimitrios and Eleni. 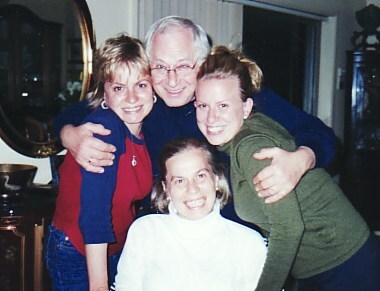 Above: With my three daughters, Eleftheria (Teresa), Helen and Michelle.